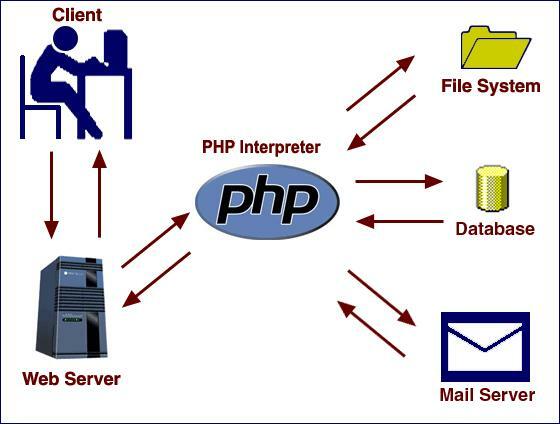 How a PHP Program Works? •For Web developments PHP is not so costly compare to other types of resources. •And the most thing is that security reason to use every people use the PHP language. This is a chart showing combined results from all data sets, listed individually below. A framework, whether it is in php or any other language, is a partly premade code to help you adapt and finish it to create a complete product. Usually for web frameworks, it consist of a big library of pre-made functions to help you create a page faster. Usual functions as register account, login, logout and other security-intense functions is already done, as well as a set of functions on how to easily fill a web page with content. If the framework is so complete that it’s only to start creating content, it’s often called a CMS, Content management system, even if it still could be adapted to suit your needs. The general idea behind the workings of a PHP framework is referred to as Model View Controller (MVC). MVC is an architectural pattern in programming that isolates business logic from the UI. What are the Best PHP Frameworks Available? 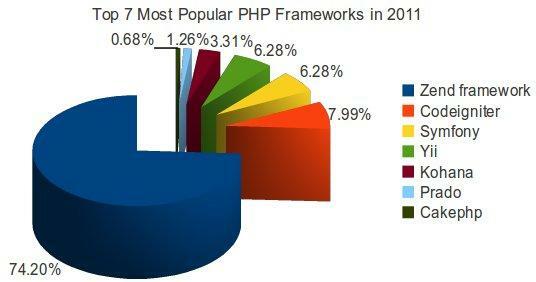 Let’s examine some popular PHP frameworks and see what each one has to offer.? A Web Content Management System (WCMS) is a software system that provides website authoring, collaboration, and administration tools designed to allow users with little knowledge of web programming languages or markup languages to create and manage website content with relative ease. A robust WCMS provides the foundation for collaboration, offering users the ability to manage documents and output for multiple author editing and participation. The charlotte web design firms supervised by Tanner Grey provides robust digital marketing services using various digital channels. They are committed to excellence from the design stage all the way to deployment of digital assets. A WCMS allows non-technical users to make changes to a website with little training. A WCMS typically requires a systems administrator and/or a web developer to set up and add features, but it is primarily a website maintenance tool for non-technical staff. What are the Best PHP WCMS Available? WordPress was mainly designed for blog websites. However, there are many websites that are using WordPress’ CMS features for creating and managing a regular website. WordPress is perfect if you need to create a blog or create a quick templete type website and do not need to add many custom features and functionalities that would require editing the WordPress core code. If you have recently created a website and need a design, check out these web designers near me. At one point there was so much hype about Drupal, that if you ever mentioned the word “Drupal,” you were considered the most technically advanced person on earth and the smartest computer geek in the world! One of the main disatnatages of Drupal is that although there is much flexibility allowed for customizations, you will need to be an advanced programmer in order to customize and add features. Also, since you will need to write custom code and work with with hundreds and thousands of built-in lines of codes, it will be very time consuming and costly to maintain and manage a Drupal site. When Drupal is greatly customized with custom features and functionalities, the code tends to become complicated to manage; I recently came across a customized Drupal site where the developer compacted about 2000 lines of code into one page. Something like this will limit the site owner’s options for hiring another developer, and he / she usually becomes stuck with the sloppy developer. Sir this very helpfull to me for know web development market condition.thanks a loot.